Pasta is popular among kids mostly. They just love the cheesy, creamy, chewy pasta and lick the plate clean. White sauce is also known as béchamel sauce and is the prime/ basic sauce used in Italian and French cuisine. White sauce transforms the whole dish with its creamy texture and together with cheese, herbs, chicken, Mushrooms and spices makes the dish exceptionally appealing. If you love Mushrooms check my Mushroom Pepper fry, Paneer and Mushroom Pizza, Kadai Mushroom, Mushrom thoran, Beef with Mushroom, Paneer and Mushroom Pizza etc. You may also like my continental collection, like, Fish fingers with Tartar dip, Garlic Mayonnaise, Fried Calamari, Pizzas, Sausage Dinner rolls, Crescent rolls etc. 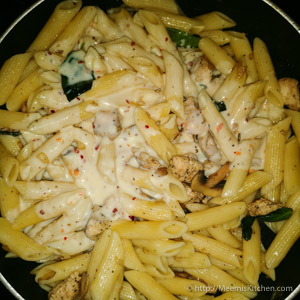 It is quite simple to prepare Chicken Pasta in White sauce, so it can be a great lunch box option too. Do check my Healthy chicken roll or Chicken Frankie/ Chicken Kathi roll for exciting lunch options. This White Chicken Pasta has enough nutrients along with fat and carbs and kids can use the extra energy for an active school day. All said, Chicken Pasta in White sauce is best enjoyed warm from the pan. It is a great dish for parties, family gatherings and celebration meals to entice the kid’s army. I have added mushrooms and fresh basil along with chicken; you can try adding broccoli, little spinach, corn etc. and make it more exciting. Please take care while cleaning mushrooms as they absorb water. You need to clean/ wipe all the dirt off the mushrooms first, with a cloth or tissue paper. Trim the stems and just wash under running water two or three times and drain immediately. This way Mushrooms will not turn soggy or release water. Marinate the chicken with salt, little pepper and vinegar for half an hour. Meanwhile, cook Pasta in water and add oil and salt after it is well cooked. Drain and keep aside. 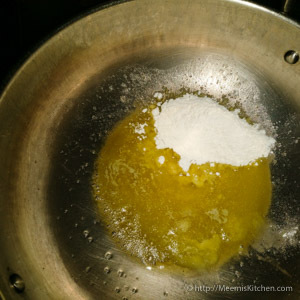 Heat butter in a pan add 1 ½ tbsp of flour. Mix well without forming lumps. 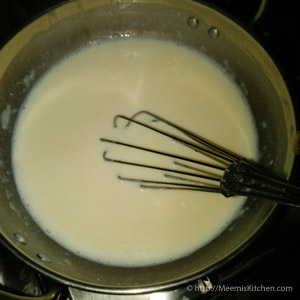 Add milk and stir continuously to make smooth creamy texture. Keep the flame on low and add pepper, chilli flakes and Italian/ Pasta seasoning or oregano. Now, add the grated cheese and combine well. The sauce should be medium thick. If required add little more milk to get a flowing consistency without lumps. 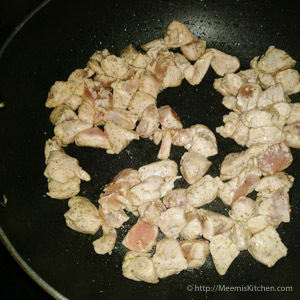 In a pan, add 1 tbsp olive oil and add the marinated chicken pieces. Stir well till the color changes. Reduce the flame and cover and cook for few minutes, stirring in between. 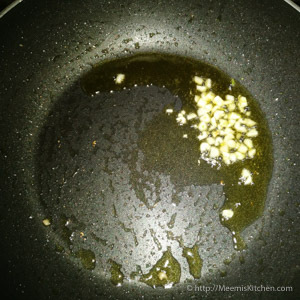 Once the chicken is cooked, transfer to another plate and in the same pan, add the finely chopped garlic (add oil if necessary). 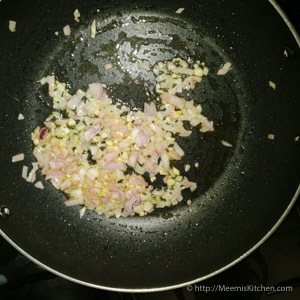 Fry for a minute and add chopped Onions. Add pepper and fry for another minute. Now, put sliced mushrooms and sauté well. 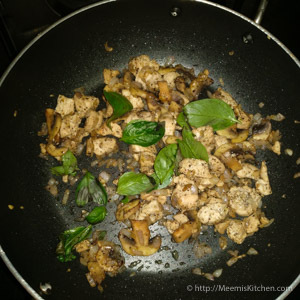 Once the mushroom is done, add the cooked chicken pieces and fresh basil leaves. Sauté for few seconds, add the cooked Pasta and combine well. 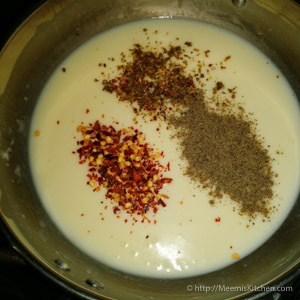 Switch off the flame and pour the white sauce over it and mix well. Creamy Chicken Pasta in White sauce is ready to serve. Enjoy! If you like it less spicy, add less amount of chilli flakes and black pepper. 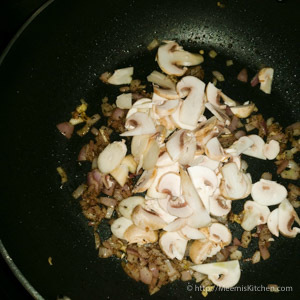 While stir frying Mushrooms add salt only last. You may add broccoli, corn, spinach etc. to this pasta as per your taste. Basil leaves are optional, but it gives a wonderful flavor. 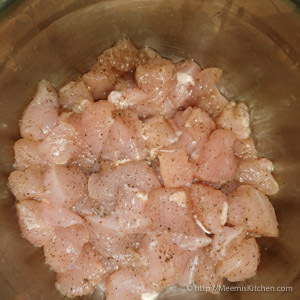 You can cook the chicken in advance to save time. Any Pasta can be used for this – Penne, Spiral, Elbow, Ribbon, Bow tie or tube. Italian seasoning/ Pasta seasoning / Oregano is available in super markets. 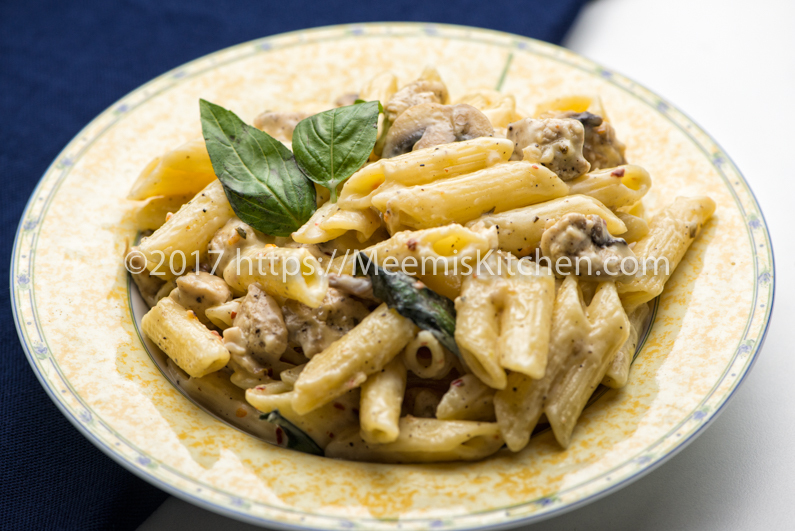 Please try this Creamy Chicken Pasta in white sauce and let me know if you like it or share with your friends through the share buttons on the side. It will inspire me to add more homemade recipes for you. Thanks and God Bless!! 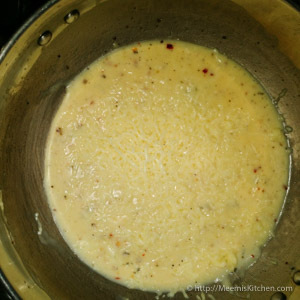 This dish is right up my alley, love that white sauce you made, it sounds delicious and made easily, great stuff! Thank you Albert. Hope you enjoy the creamy Pasta. Oregano gives a distinct flavor to Pasta dishes. You should use oregano or Italian seasoning to get the real taste and flavors.